Durham, NC is making headlines. According to the Durham Convention and Visitors Bureau (who produced the following YouTube video), in the past six months, the Bull City has appeared in five major publications. 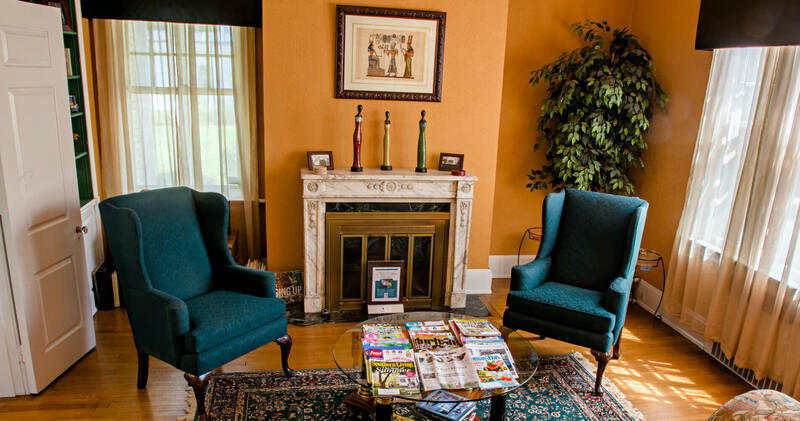 Morehead Manor Bed and Breakfast, located in the heart of Durham, provides exceptional accommodations. We are within walking distance of The Durham Performing Arts Center and The Durham Athletic Stadium (the home for the most famous minor league baseball team, The Durham Bulls). Durham, North Carolina attract foodies from all over the country with our award-winning restaurants and food trucks. Excellent shopping is found in the Ninth Street District, at The Streets at Southpoint, in Brightleaf Square and beyond. Both North Carolina Central University and Duke University are located in Durham, North Carolina. Two incredible college campuses offering talented musical performances and exciting athletic events. Near Duke University are the famous and beautiful Sarah P. Duke Gardens and The Duke Chapel, both of which attract visitors from all over the world. Guests of Morehead Manor are welcome to relax in our spacious guest rooms and common rooms as well as to explore our grounds. Each morning we offer a fresh, gourmet breakfast in our Pecan Dining Area. We host guests from all over the world and we look forward to extending our friendly Southern hospitality to you! This entry was posted in Durham and tagged Durham by admin. Bookmark the permalink.